I recently purchased two 6TB Seagate IronWolf drives. They are similarly priced to the WD Reds but have a faster RPM of 7200 compared to 5400 on the Reds. The IronWolf also have 128MB of cache vs 64MB on the Red. 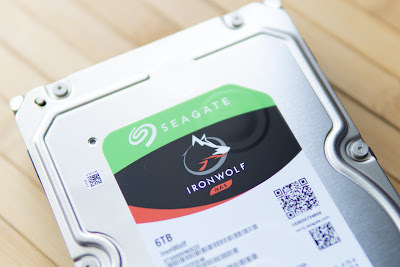 To get a drive similar in spec to the IronWolf would require purchasing Red Pro drives, which are a lot more expensive. Electrical engineer working in the semiconductor field, mostly in the analog and mixed-signal domain.